All the bedding for your apartment is here! During the holidays the most important thing is to rest. 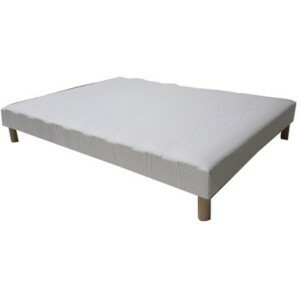 For this you will need good bedding, that's why we have selected bed bases, mattresses, bed linen and pillows. 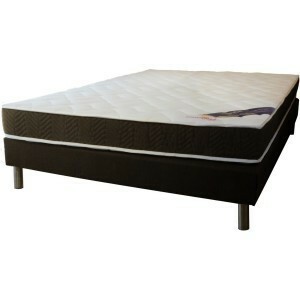 Thanks to this you can compose the perfect bed, for you or your children and you will spend pleasant and serene nights. 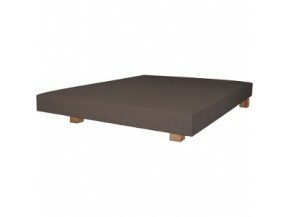 A bed base without mattress is not very practical isn't it? 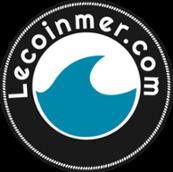 Here you will find a collection of mattresses suitable for all bed sizes, some cover are removable, which is ideal when you have a residence in the sea. Different thicknesses are available to provide you with a better comfort. You have not found the bed base of your dreams yet? Do not hesitate to go watch those we offer! 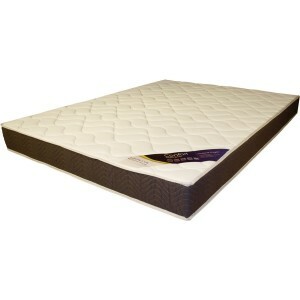 In order to help you have a night of dreams, we used the MisterBed brand. These French fabrications of box springs labeled "eco-manufactured" and its excellent value for money will undoubtedly satisfy you. To sleep well you must be able to rest your head. For this we offer pillows brand Sylvie Thiriez, made in traditional workshops in the North of France. Make your choice among the various stuffings and forms: ergonomic or with memory of form they will offer you an incomparable comfort. It can be cold at night when you are near the coast! Having a duvet in your belongings is essential! 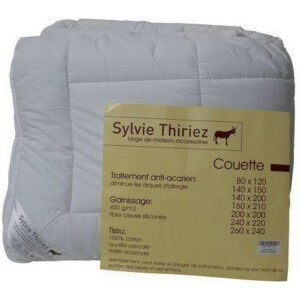 We offer duvets Sylvie Thiriez brand filled with duck fluff or silicone fiber waxy. Anti-mite treated they are available in many sizes to match the size of your beds. You want to spend sweet and serene nights near the beach? So you need mattress cover. 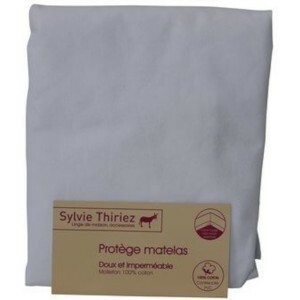 We opted for the mattress cover of the brand Sylvie Thiriez, available in fleece, flannel or pvc and in several sizes. For more comfort they take the form of a fitted sheet and stay in place on the mattress.